Members can book online (specified Times) or in the shop as with any normal club competition. Visitors can book online HERE, between the alloted times. Each event is open to both Ladies 36 H'cap and Gents 28 H'cap and "Must" have a "Competitive Handicap"
Members will have this presented to them or awarded to their account in the Pro Shop. Visitors will have the voucher to spend in the shop, or an acoount setup to spend the vouchers when required. 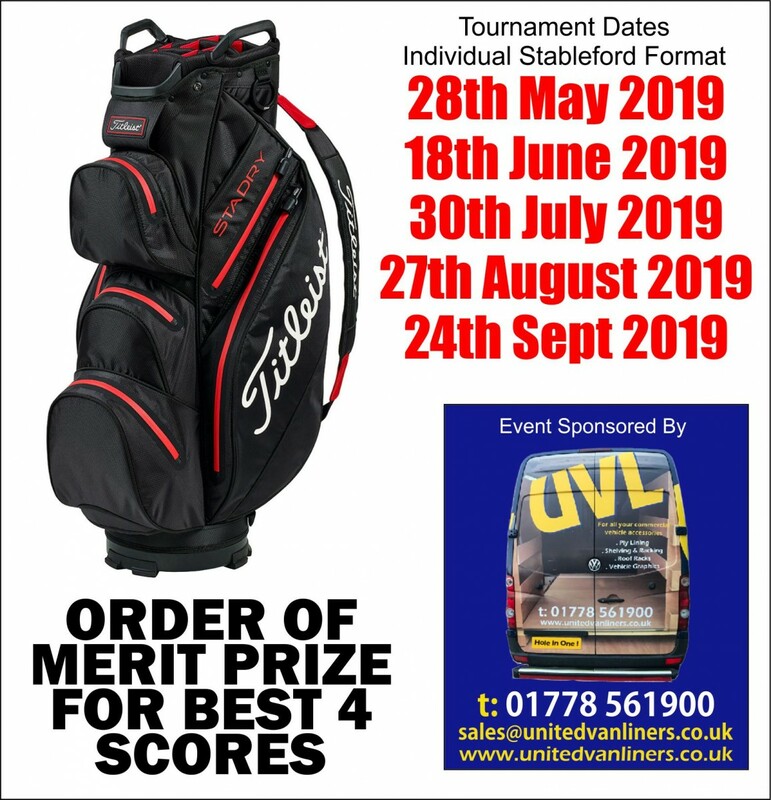 The Order of merit will be awarded on Points acheived in each tournament, with 1st place receiving 20 points towards the order of merit and 15th place receiving 6pts, every place in each event will be determined by back nine, back six, back 3, back one (nett scores), each player below 15th place will receive 5 pts towards the order of merit. The Winner will be presented after the 5 events have taken place.